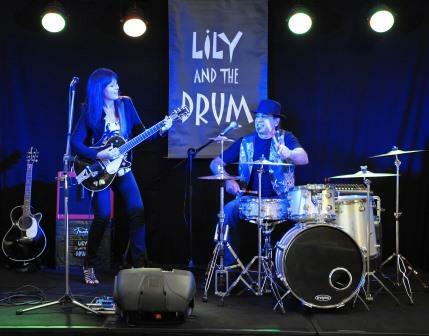 Lily and the Drum is an Alternative Bluesy Roots, Rock and Soul Duo, featuring Lily on Guitar and Vocals and John on Drums and Harmonica. Their performances have been described as “Honest, raw and energetic” and “A guitar and drum duo with an exciting rich melodic sound”. The duo has notched up 3 Releases in the Top 25 on the Australian Blues and Roots Airplay Chart. A strong commitment to touring with performances at numerous Festivals across Australia, opening for high profile artists and many shows across the country along with Radio support for their music has netted the duo a strong following and solid reputation.